This is the Easter bingo card. 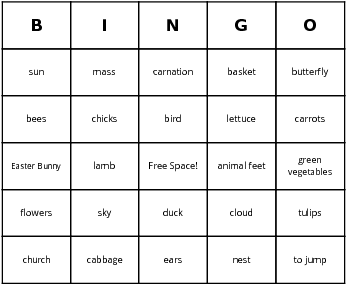 Use this page to generate scrambled bingo cards with words related to Easter like "carrots", "lily" and "basket". You can add more terms to the Easter bingo word list and make the game last longer.